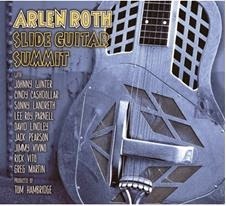 I just received the newest release, Slide Guitar Summit, from Arlen Roth and it definitely lives up to all the pre hype. Roth, well known for his own guitar styling, especially on the tele with the likes of Roy Buchanan and Danny Gatton, has put together a group of the best known slide players on the planet for a full blown celebration of all things slide. Opening with Do What's Right, Roth teams up with Jack Pearson on vocal and slide guitar as well as Tom Hambridge on drums and backing vocal and Tommy MacDonald for a country two step rocker. This track moves along nicely with lead and harmonic sliding... a terrific opener. Robert Johnson's Dust My Broom is next featuring Lee Roy Parnell on vocal and slide and adding Kevin McKendree on piano. 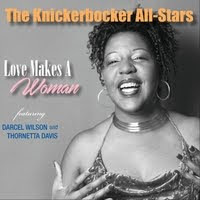 With the feel of Elmore James and a nice thick slide texture, this track is hot. McKendree adds significantly to the mix with hot piano riffs. Much like a live recording, Parnell and Roth take turns on lead slide making for a hot track. Clarinetist Acker Bilk wrote this next track, Stranger On The Shore, and performed it on clarinet in the early 60's. It has since been performed by a number of artists including the Beatles but none quite as sensuously as this take by Cindy Cashdollar on lap steel with just a touch of Hawaiian flare. Beautiful. Sonny Skies features Sonny Landreth and Roth joined only by Eddie Denise on upright bass. A jazzy track with Roth's signature sound, this is a great showcase for tow of today's masters to team up and show how it's done. Jackie Breston's Rocket 88's features Johnny Winter on slide (his last session) along with Roth on slide and lead vocal. Scott Spray and Tyger MacNeal join on bass and drums respectively. A bright toe tapper, the two guys blend nicely and Roth pulls out some of his trademark riffs making this a particularly cool track. Lowell George's Dixie Chicken gets the full Little Feat treatment with Tommy MacDonald on bass, Kevin MacKendree on piano, Hambridge on percussion. 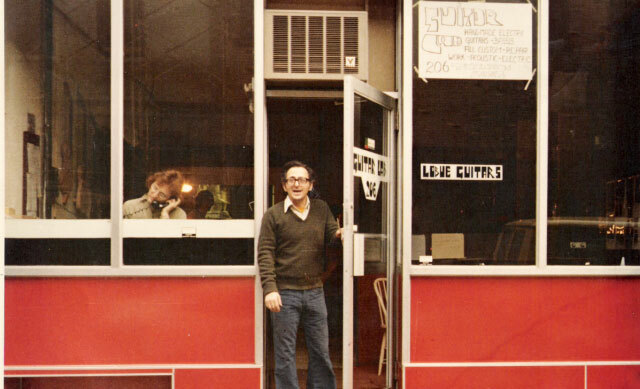 Leroy Parnell takes the lead vocal and shares slide with Roth. I don't know about my readers, but there are a few places that you need to tread lightly and Lowell George territory is one of them. I think that these guys did a great job of paying tribute and MacKendree really did a nice job on Bill Payne's work as well. Excellent! Jimmy Ninino brings the first delta style acoustic track with only he and Roth and their guitars on Poor Boy Blues. Possibly my favorite track on the release. Following with Laura Nyro's And When I Die made popular by Blood, Sweat and Tears again only Vivino and Roth on acoustics. Keeping it simple and playing it pure country blues style gives it a new life. Jimmie Rodgers' Peach Pickin' Time In Georgia features Roth on lead vocals and Greg Martin joining him on slide. McKendree takes a real nice piano bar on the track but the release is about sliding and in country 2 step style, the boys do bring it! Paradise Blues is a simple quiet guitar ballad with nice Les Paul like harmonics and Hawaiian style blending. Rick Vito and Roth blend their guitar vocals nicely for a really pretty instrumental track. Cindy Cashdollar is back on lap steel again on Steel Guitar Rag and Roth this makes two. A simple instrumental track with just a twist of country styling shows the chops of these two guitar super stars. Smokey Robinson's ballad, You Really Got A Hold On Me is delivered nicely with Roth and Vito playing the lead and harmony on slide with no vocals. This is a great track and these guys give it new life in this instrumental form. Roy Byrd's Her Mind Is Gone features the incredible David Lindley on lead vocal and lap steel, joined by Roth on lap steel. Everyone knows that Lindley is one of the best guitar players on the planet and especially creative on lap steel. This is a great little blues addition from the masters, jamming together in one of the tightest acoustic blues jams in a while. Wrapping the release is Roth and Greg Martin on Amazing Grace with Hambridge and Tommy MacDonald. 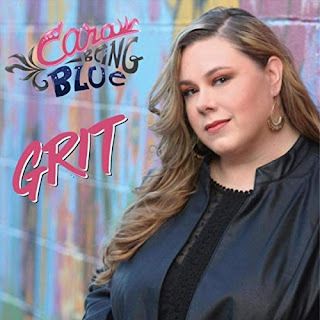 Nicely done and heartfelt it is a really clean and creative ending to a long awaited tribute to slide guitar featuring today's modern masters. Very nicely done.